Multi-instrumentalist Geoff Johnson has been playing for audiences for more than 20 years. 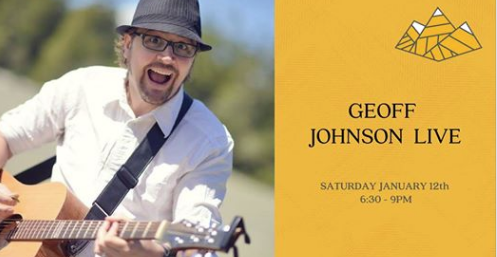 Geoff’s set is diverse and always entertaining, featuring 100s of cover tunes and drawing heavily on the 60s with the likes of The Beatles and Led Zeppelin, a sprinkle of classic country and an occasional Britney Spears number. Requests are encouraged, good times are guaranteed! No Cover Charge. Kids welcome. Multi-instrumentalist Geoff Johnson has been playing for audiences for more than 20 years. No Cover Charge. Kids welcome.